One of the many beautiful photos from Nepal on John Robshaw's site. I am having a turquoise moment. Actually, I have been having turquoise moments for at least five years. 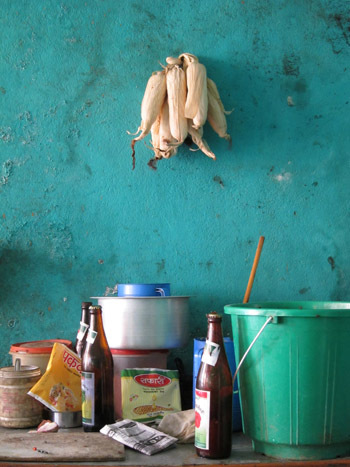 It’s no coincidence then, that I was inspired by the cerulean blue in this image from Nepal on John Robshaw’s blog. I wish I could go there to breathe in all of the highly saturated hues from the photos he posted. I am afraid that colors that rich, however, can translate as garish in the Pacific Northwest’s gray light. So, it’s probably best to add it in healthy doses through accessories and as an accent rather than on the walls. Here’s how I would recreate the colors and textures from that image, into a dining room space at home. Fully saturated curelean blue, bottle brown and flax. What a dynamic pallete. Cutting/Serving Board for serving up blood oranges or cheese and figs by Grayworksdesign on Etsy. Novica Amber Glassware from World Market. to add a glassy glint to the scene. 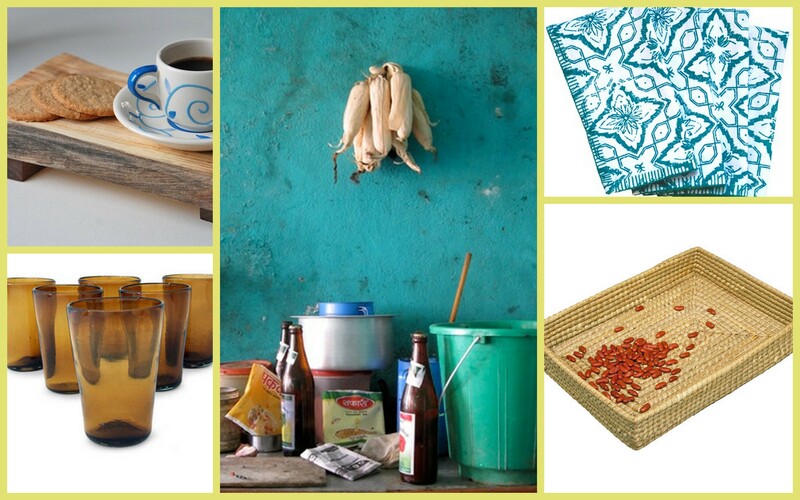 Kaisa Casserole Basket from Ten Thousand Villages to corral your serveware and condiments on the table top. In my dreams, I would start it all off with the lovely cool, yet textured and warm Ten Thousand Leagues rug from Anthropologie and an incredible live edge dining table from Urban Hardwoods in Seattle. 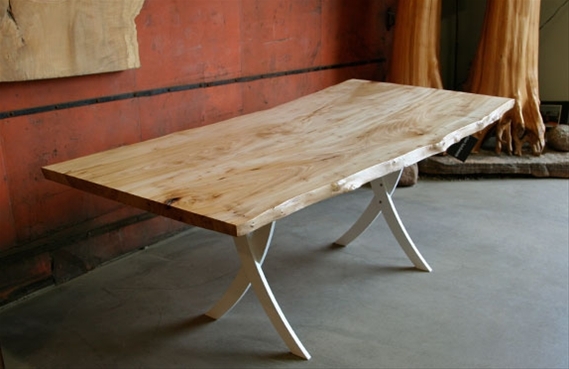 Chinese elm dining table by Urban Hardwoods. 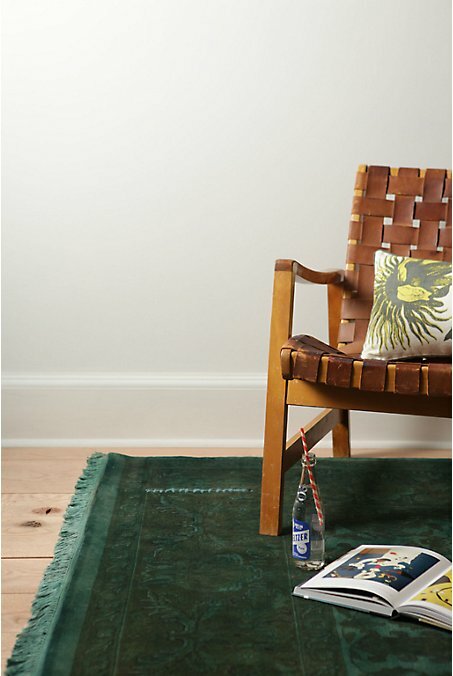 Ten Thousand Leagues rug by Anthropologie. Previous article Ekofabrik is FUN!